So my message is that there are still stocks to buy out there. You just have to choose the right ones. With this in mind, I combed through the latest analyst reports to find the most compelling stocks to buy right now. We are talking about a strong buy consensus from the Street, based on all ratings over the last three months (according to this Top Analyst Stocks tool). Plus I looked for stocks with the potential for prices to surge, because at the end of the day everyone wants to make a profit. Over the last 10 years, Netflix (NASDAQ:NFLX) has posted almost unbelievable gains. From March 2009 to March 2019, you could have made a whopping 6,493% return on Netflix stock! But for those who weren’t quite so lucky, does the online streaming giant still represent an attractive money-making proposition? Well, the overall analyst consensus is currently a relatively optimistic moderate buy. But something interesting happens if we only look at the ratings of top-performing analysts. The consensus shifts to strong buy and the price target rises to $420 (16% upside potential). “Netflix offers a truly compelling value proposition with global appeal. 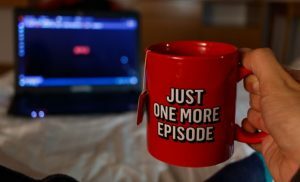 So compelling that Netflix is embarking on what is likely to be its fourth successful price increase in the last five years” writes RBC Capital’s Mark Mahaney (Track Record & Ratings). This five-star analyst reiterated his NFLX buy rating in the wake of strong Q4 results. That’s with a price target ramp from $450 to $480 (33% upside potential). Encouragingly, Piper Jaffray’s Michael Olson has just carried out a deep dive into Netflix search trends. His analysis reveals that NFLX is on track for a far stronger Q1 than the Street is currently expecting, with potential upside for both international and domestic subscribers. That could send shares soaring further down the line. Want to learn more about Netflix? Get the free NFLX Stock Research Report. Centene Corporation (NYSE:CNC), the U.S.’s largest provider of individual coverage under the Affordable Care Act, is on track for a killer year. According to Goldman Sachs, expected sales growth for 2019 should reach 18%. 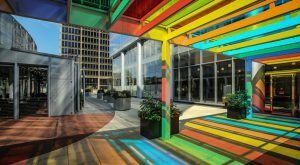 “We continue to believe CNC’s Medicaid business is a solid foundation, with upside in its disciplined approach to expanding its individual, Medicare and specialty businesses. We think the shares are inexpensive at only 15.3x our 2019 EPS estimate” cheers Cantor Fitzgerald’s Steven Halper (Track Record & Ratings). He reiterated his buy rating after CNC reported strong Q4 2018 results and raised its 2019 guidance. Looking ahead, Halper says shares are capable of surging 40% in the coming months. Indeed, this stock has a very optimistic outlook according to the Street. TipRanks data reveals that eight analysts are recommending this “strong buy” stock right now. That’s 100% support. Meanwhile the average analyst price target of $89 shows compelling upside potential of over 50%. Get the CNC Stock Research Report. The second-best-performing tech stock of the decade is Amazon (NASDAQ:AMZN). Compared to Netflix, its gains seem like a drop in the ocean, but we are still talking about an impressive 2,605% rally. Notably, analysts are unanimously bullish on Amazon’s outlook. Out of 36 analysts covering the stock, all 36 rate it a buy. Meanwhile the $2,118 price target indicates 19% upside potential from current levels. Tellingly, even long-time AMZN skeptic Edward Yruma of KeyBanc has now upgraded AMZN to buy. Meanwhile top Morgan Stanley analyst Brian Nowak (Track Record & Ratings) has just reiterated his buy rating and $2,200 price target (28% upside potential). 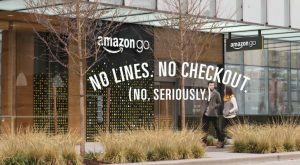 Delving into reports of Amazon’s new grocery store offering, the analyst notes that these stores will offer a wider variety of cheaper products that could even extend into the health and beauty market. As CNN highlights, more brick-and-mortar locations “will also give the company more pickup and delivery points to meet customer demand, help it gain data about shoppers, and introduce its expanded lineup of food and personal care brands, according to analysts.” That’s why AMZN is such a great investment — by constantly looking for new growth opportunities, Amazon ensures its stock will remain attractive for years to come. And that, clearly, puts it near the top among strong buy stocks. Get the AMZN Stock Research Report. Shares in Boyd Gaming (NYSE:BYD) have exploded recently. Shares are now up 34% year-to-date. 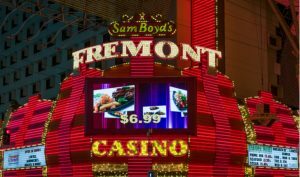 You can thank a pretty exceptional earnings report for the Paradise, Nevada-based casino company’s good luck. “BYD’s 4Q18 operating results were nothing short of sensational” exclaims five-star Stifel Nicolaus analyst Steven Wieczynski (Track Record & Ratings). “As we get late into EPS season, we believe we have seen the best print to date, with BYD’s strong 4Q18 results tonight, an exclamation point on a strong 2018, with guidance above expectations serving as the cherry on top” the analyst continued. With widespread growth throughout the business, BYD EBITDAR came in at $208.6 million, easily surpassing the estimated $197.1 million. “Post the strong 4Q18 results and with, we believe BYD is well positioned to continue to show healthy and steady same-store growth, while continuing to integrate its accretive acquisitions from the 2H18” writes Deutsche Bank’s Carlo Santarelli. Add in to the mix a “very compelling” current valuation, and you can see why BYD is a strong buy stock, boasting six recent buy ratings from the Street. Get the BYD Stock Research Report. 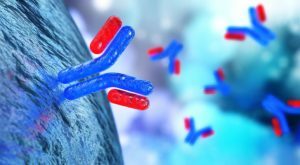 Hot biotech AnaptysBio (NASDAQ:ANAB) could be on to a real winner with its lead drug candidate etokimab. The drug, which is currently being trialed in various indications, has the potential to treat atopic dermatitis (AD) — or as its more commonly known, eczema. That’s partly why analysts are indicating that 80% upside potential lies ahead for ANAB. This would take its current share price from $72 to $130. “We believe atopic dermatitis represents a potential blockbuster indication for etokimab, making the ATLAS readout the key catalyst for the stock in 2019” states Stifel Nicolaus’ Derek Archila (Track Record & Ratings). Indeed, 2019 could shake out to be a transformative year for ANAB. Multiple programs are on track to yield de-risking data this year. Specifically, we have Phase 2b ATLAS trial of etokimab for the treatment of AD (atopic dermatitis) on tap to read out in 2H19. And look out for the Phase 2 study of etokimab in adults with chronic rhinosinusitis which expects to report topline in 2H19 as well. Both studies could drive serious value if results are positive, so watch this space. Overall, six analysts have published back-to-back buy ratings on ANAB in the last three months. Get the ANAB Stock Research Report. Article printed from InvestorPlace Media, https://investorplace.com/2019/03/5-killer-strong-buy-stocks-to-multiply-your-money/.